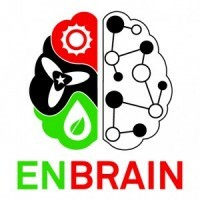 The overall objective of Enbrain proposal is to fill this gap through the design and develop of an innovative educational platform based on new courses, e-learning methods and digital tools that may promote a systemic multi-dimensional vision of the global energy challenge. Design of a Master in Renewable and Sustainable Energy in Libya (15 courses, 120 ECTS) following a multi-level approach in capacity building. Modules will 1) include technical subjects focusing on the workforce to create jobs that meet industrial local needs; 2) build institutional and administrative capacity, therefore focusing on economics, legislation, social disciplines; 3) facilitate the dialogue and the exchange of experiences between professionals coming from regulatory, financing and industrial contexts. A MOOC will be designed to facilitate the multi-disciplinary approach. Create an open platform to engage citizens in renewable and sustainable energy via the creation of a MOOC for citizens.